Designed with simplicity and convenience in mind, the Cue Vapor Sub-Ohm System delivers high performance and stylish design, with hassle-free pod refills. 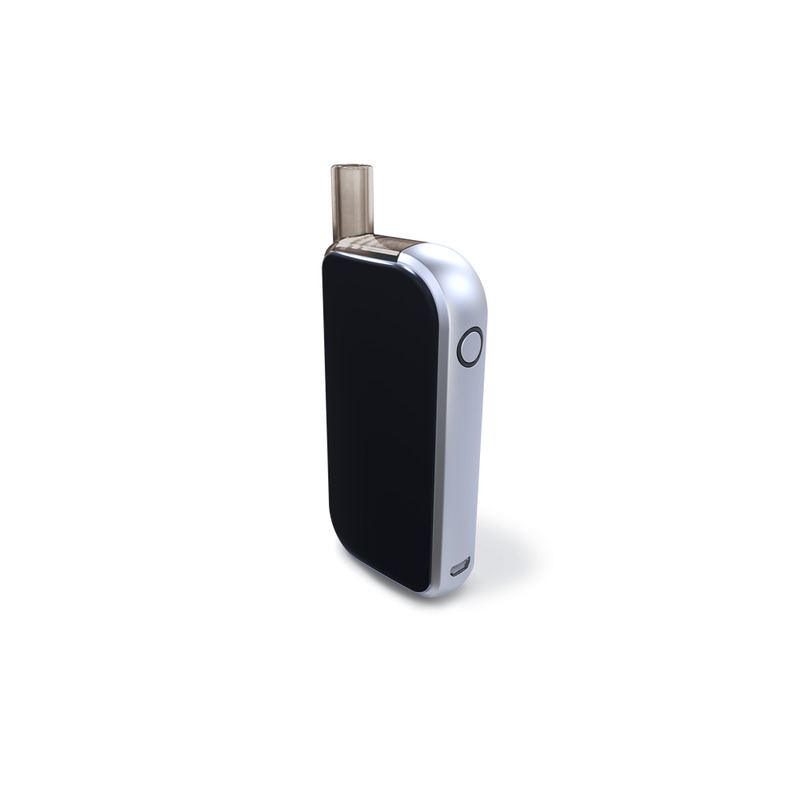 The Cue Vapor System features an integrated 1500 mAh battery and security features including a 10-second auto-stop which prevents overheating. This ensures great performance and with a choice of six colors you can find a Cue vape system to suit both your vaping requirements and your personal style preferences. The device is small and easily held in the hand and it benefits from simplicity in all of its functions. The Cue Vapor System is delivered complete with USB charging cable, the device itself and a "Buddy Tip" so you can share your new Cue vape kit with friends/family. The versatility of the Cue Vapor System also means you can experiment to find your perfect draw; you manually adjust the airflow using the plugs in the air holes or just your fingers. The Cue's battery also packs plenty of power! As an innovative pod mod system, the Cue Vapor System uses its own proprietary pre-filled flavor cartridges. They slot with ease into the device and are currently available in a diverse range of flavors. They split their flavors across a range of categories and nicotine levels. Classic flavors such as Menthol Tobacco and Smooth Tobacco sit alongside more original offerings such as Chocolate Banana and Fresh Melon. The flavor cartridges are extremely user-friendly, come with very low risk of leaks and can be clicked easily into place in your Cue Vapor System. All flavors are made in the US and utilize the finest domestic and imported ingredients. Choose between nicotine free, 3mg and 6mg nicotine levels. Each Cue vape cartridge holds 5ml of e-liquid and has a 50/50 PG/VG ratio and coil resistance of 0.3 ohms. The Cue Vapor System is currently patent pending and has also picked up both design and product innovation awards. Above all else it makes access to your favorite e-liquid flavors and vape experience straightforward and hassle-free. Warning: The Cue Vapor System is a sub-ohm, direct-to-lung device that is not suitable for beginners. Using this device in the same way you would smoke a cigarette will result in it overheating and potentially spitting out un-vaporized e-liquid. Does this kit come with everything I need to start me off? Does this product come in a nicotine free option? How long does a Cue Vapor cartridge last? What is the warranty period on this product? Yes. The kit contains everything you need to start vaping once you have charged your starter kit (including a USB charger). The kit comes with pods/refills included. Please check the "What's Included" tab for exact details. Yes. Although this product comes with a tobacco flavored pod included (with nicotine), you can choose a refill on top that comes with no nicotine from the Cue pod range. Unfortunately we cannot swap out the tobacco pod that comes in the kit as it is within the packaging. According to Cue Vapor, a single cartridge - which contains 5ml of e-juice - can last anywhere from one day to a week or even longer, but this depends heavily on how often the device is used, and because everybody is different, it's hard to estimate. If you were a heavy smoker and have your Cue in-hand all day, then your cartridge will deplete much quicker than it would for an "occasional smoker", who might only use their device 3 or 4 times a day. As a very rough guide, we estimate that heavy users should get 2-4 days of use out of a single cartridge. With medium use (occasional "smoke" breaks at work for example) you could get 4-7 days and if only used a couple of times a day the cartridge can be expected to last a week or more. Bear in mind that if you're "chain vaping", naturally the cartridge won't last much longer than a day. The Cue Vapor System is sub-ohm, meaning if vaped like you would smoke a cigarette, this will cause it to overheat and/or spit unwanted liquid. Some people consider this to be leakage. We recommend you read this article about the difference between 'mouth-to-lung' vaping (which is what many people unadvisedly do with this product) and 'direct-to-lung' vaping. Neither technique is superior to the other, but some kits will not react well to the build up of vapor that results from 'mouth to lung' vaping. This product comes with a 60 day warranty from the date of order. However, this does not cover misuse, damage or standard wear and tear. If you need to ask any questions or claim your warranty, please visit our help & contact page. Please note, with some starter kits we will look to replace parts rather than the entire kit if a fault can be remotely diagnosed. I've now tried an e-cig that looks like a cigarette, just tried JUUL this week, and have been smoking the best of the THREE by far, Cue Vapor! The 1st tasted like formaldehyde, JUUL I could not get a decent hit, at least not compared to Cue Vapor or a REAL cigarette! Someone complained of a harsh throat hit? I would bet that person NEVER smoked cigarettes! I smoked for 40 YEARS. After two weeks of Cue? I quit, told my husband I'd never smoke another cigarette... and i haven't for years! It's also economically a much better deal. Without a doubt, Cue Vapor is by far the closest thing to a REAL cigarette. Great pull, great smoke, great taste, great price! My husband wholeheartedly agrees... was not pleased with my $48 JUUL starter kit purchase... though the mint tasted good, it was difficult to get a decent hit. Cue Vapor starter kit is $19.99. Both have refill pods, so they're super convenient! We think it's a no brainer. The Cue Vapor starter kit has everything you need in it... the vaping device, with the color of your choosing. A buddy tip, for a sanitary way to share hits off of your vaping device, a small charging cord, and a smooth tobacco refill pod. Everything you need to start smoking!! The only critique I have is that I would like to have the choice of a mint or menthol pod to come with the starter kit instead of the non-menthol smooth tobacco. I'm sure many others feel the same. I can't smoke it, it's horrible! You don't force menthol on regular tobacco users, so why force theirs onto the menthol smokers?? Just more discrimination... I hope you at least think about it? ...and again, THANK YOU Electric Tobacconist, for being the best and most reliable company I order from online!! Great flavors, affordable system, and so simple. I had having to change coils out on my mod so this is my back up when I'm feeling lazy. Love my hot pink Cue! Puffing part of this device is very off, waste of my money. I used to be a Mark Ten user and liked the brand very much, but it’s been discontinued recently, so I needed to find a new E-Cig that’s comparable in performance and price. I’ve been a long time customer of Electric Tobacconist, love the prices and fast delivery, so I started looking through the customer reviews here for some opinions. I decided on the Cue system, which I had never tried. The Starter Kit was a very good price, the battery portion is very sturdy, well made, and lasts a lot longer between charges and overall length of battery life than my old brand. It also delivers a better “hit”, and though cartridges were the same price, they last longer, have a better taste, better variety of flavors, 2 different nicotine levels, and a zero nicotine option. Overall, I’m saving an additional 50 cents per “pack” compared to my old E-Cig versus standard tobacco cigarettes. Personally, I prefer an E-Cig that’s shaped like a conventional cigarette, but I’m so happy with the Cue that I’m willing to concede on that. I definitely recommend the Cue system. Give it a try. I really love the CUE Vapor devices as they are available in several different colors and are the best device that I have ever tried and I have tried them all! I was a Vuse Vibe vapor user until they recalled their products and I was forced to find another device despite loving that one but after buying several different devices and not getting the desired tastes or satisfaction as I did with the Vibe! Finally, I came across the CUE devices and fell in love! Even though Vuse Vibe is now available for sale and use again, I no longer wish to use it again after trying the CUE! I highly recommend this device for even the inexperienced vapers! This is a great device to learn on as well as great for the most experienced of users! Flavors are great but wish more would come out to try. Thank you for carrying the products! They are very hard to find in my area and ordering from Electronic Tobacconists makes it much easier to receive the products without having to drive an hour to buy some at a gas station/tobacco store!!! They deliver straight to my front door and I do not have to travel! They ship promptly, and that is a huge relief when I start to get low!!! Thanks again, Electronic Tobacconists for your very prompt and professional service and for always following up!!! Very happy customer and have been for a long time now!!!! It replaces cigarettes and now that I am use to it, it has become part of my hand. Burns good. It does have a tendency to start falling apart. Kind like a soft pack does, but it works. I am on my 3rd cartridge in 3 weeks. I have only charged it 4 times. I didn't read any reviews before I purchased it and I am glad because I may have 2nd guessed the purchase. Compared to other systems, this one is less expensive and alot more convenient from what i have read. I have been using the mellow 3 mg and haven't smoked a cigerette since I bought it. Very pleased with it. Don't believe everything you hear. I paid nearly $55.00 for the vaporizer and 5 cartridges and they don't last long at all. The vaporizer only stayed charged for a few hours and the cartridges didn't last but maybe a few hours. Total NONSENSE. This is nothing but a rip off. STAY AWAY!!! Received the Cue in a timely manner. Does not work, trying to get the issue corrected. with promotion. this product is very economic. the battery last for few days. the only side is the noise it is making when operating. Great website!! Eastiest company ever to deal with. I’ll never shop anywhere else. This is the best vapping unit on the market, it's simple easy to use no meds and you can change flavors and mg. In seconds!! Already bought 2more for my daughter and her husband. However, in on my 3rd unit due to two previous faulty ones. They worked fine for several weeks, then all of a sudden won't fire off, charge or power up. ET emailed a RTS label, sent it back for verification testing, confirmed bad, sent out a free replacement. Had to buy something to temporarily replace the QUE. That cost me $7.50 per day. Bought the Cue to give up the cigs, and yes it does work. At first I struggled with the vaping because its a different action to cigs, but picked it up quickly. I like the compactness of this unit that fits into my denim pocket smaller that a pack of cigs and more robust. No more crushed wet ciggies! The battery has lasted me up to two days and charges pretty quickly. I love the how robust the unit is. I dropped it off a ladder from about 12Ft onto cement and the cartridge popped out. Popped it back in and the Cue is still working a good as new. Whatever the material the body of the Cue is made of is scratch resistant, wich my cell phone screen was the same. Just got an extra, love it, so easy to use. Easy to refill, no mess,no trying to open a tank that's too tight, just easy and convenient to use.no parts to clean or replace. Just constant reliability.